A swath of Goshen is undergoing a dramatic makeover that will add a variety of new housing and attractions to the Maple City. 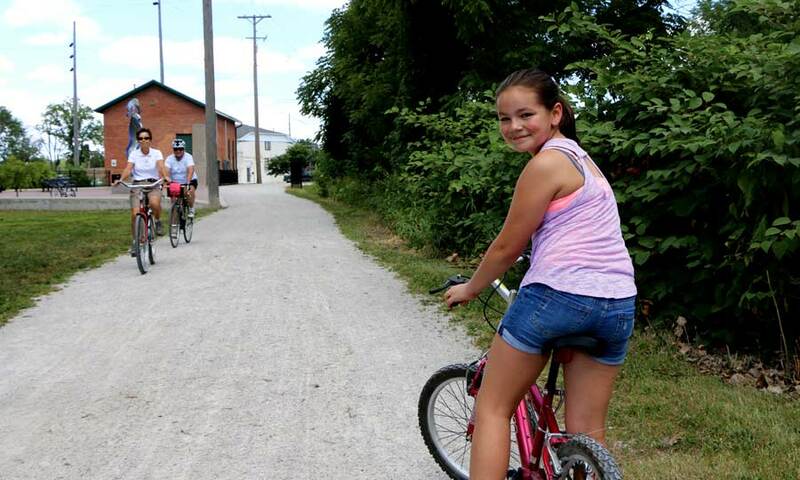 Along the canal that runs from the Goshen Pond to near the Goshen Farmers Market are the beginnings of new neighborhoods, an arts center and a brewpub. Planning for this area began in 2005 when Goshen began a process to “create a bold new vision for the Millrace Canal,” said Mark Brinson, Goshen’s director of community development. 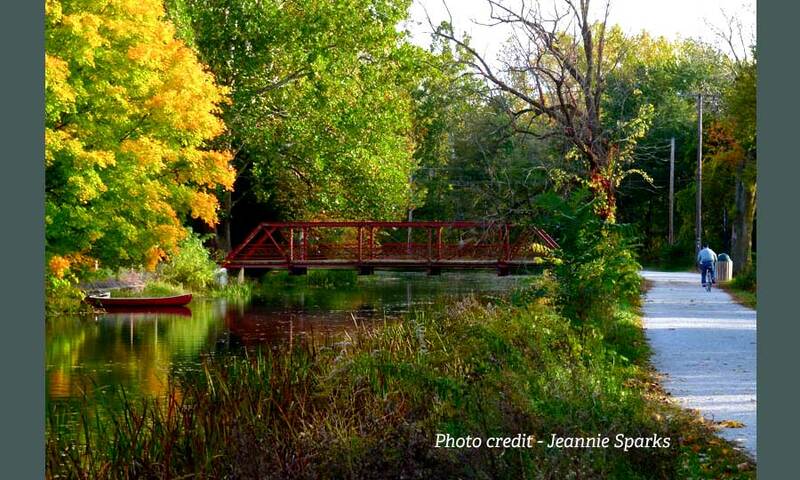 In 2005, the Goshen Chamber of Commerce and the City of Goshen contracted with Building Better Communities at Ball State University to develop a plan for the redevelopment of the Goshen Millrace Canal. 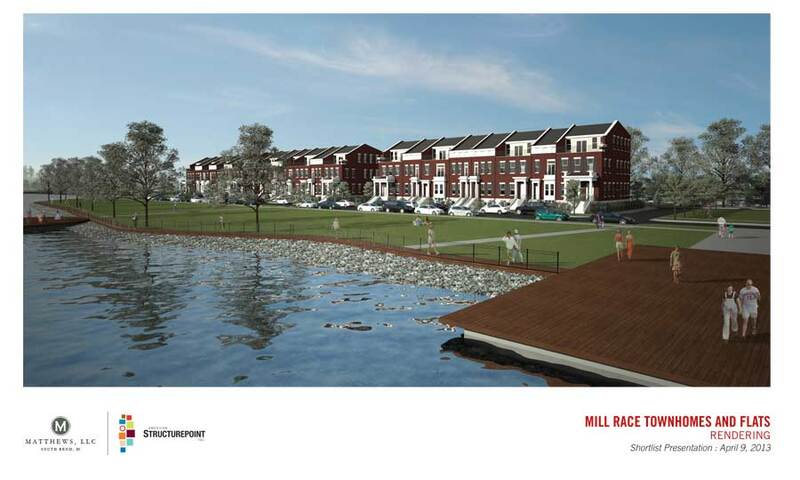 This project included site plans and a series of charrettes showing options for future development on the Millrace, including designs for a variety of residential options, recreational and commercial uses. Several recommendations in this project have been or are in the process of being implemented. Fast forward eight years to 2013, and what had been the historic Hawks Furniture building is being transformed into The Hawks, offering lofts to artists and entrepreneurs — a development of LaCasa, Inc. Nearby, a group is establishing Goshen’s first co-housing development, while another group is planning to build urban townhomes. 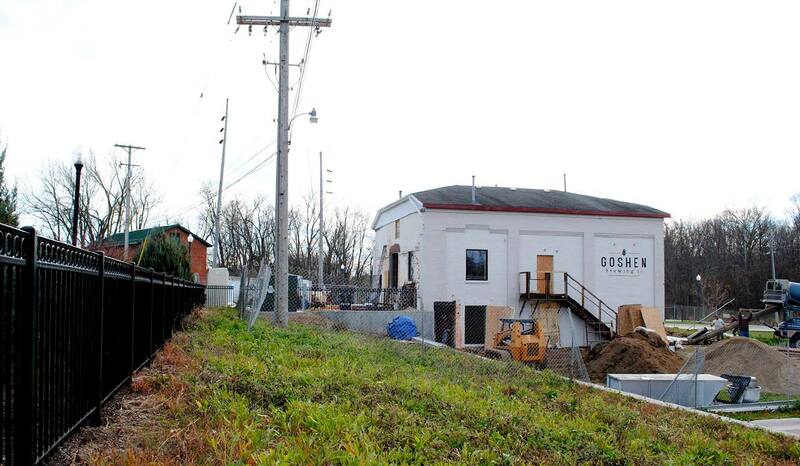 A former utility building is being converted into a brewing company that will offer farm-to-table cuisine along with its craft beers, while a historic home along the Millrace is being renovated into a space that will offer therapy and holistic health services. After more than 10 years of planning and preparation, these main construction projects are set to be finished in 2016. “At the time planning started, this corridor was in decline and in need of a new direction. 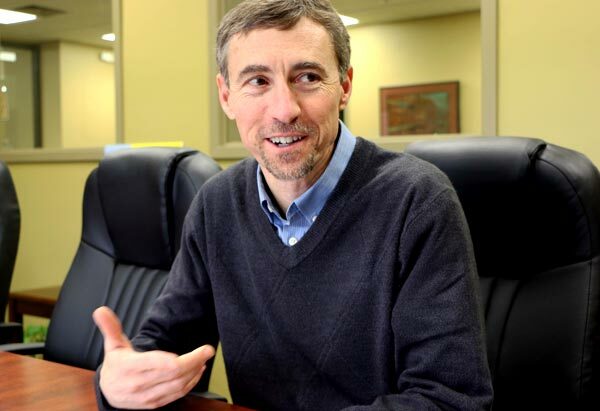 However, despite creating an innovative plan to transform the area from historic industrial uses to a mixed-use urban development, many barriers stood in the way of turning this vision into a reality,” Mark said. The construction is all happening with an eye to sustainability. 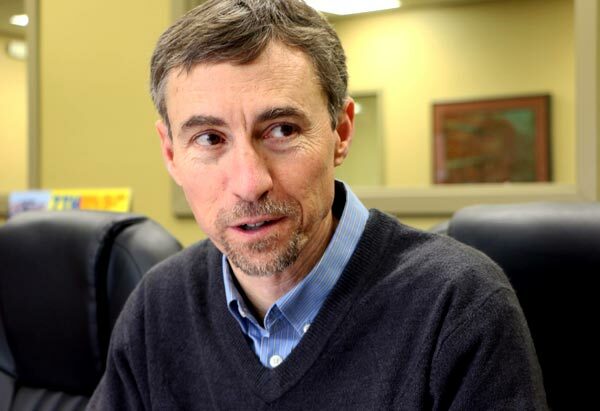 Mark said that public and private green space is planned throughout the area, parking lots will use permeable paving systems, and areas filled with invasive plant species will be replaced with native plants. Whenever possible, builders have reconstructed buildings instead of demolishing them. This Millrace construction will expand the downtown area and, with The Hawks, add an even stronger base for entrepreneurs. 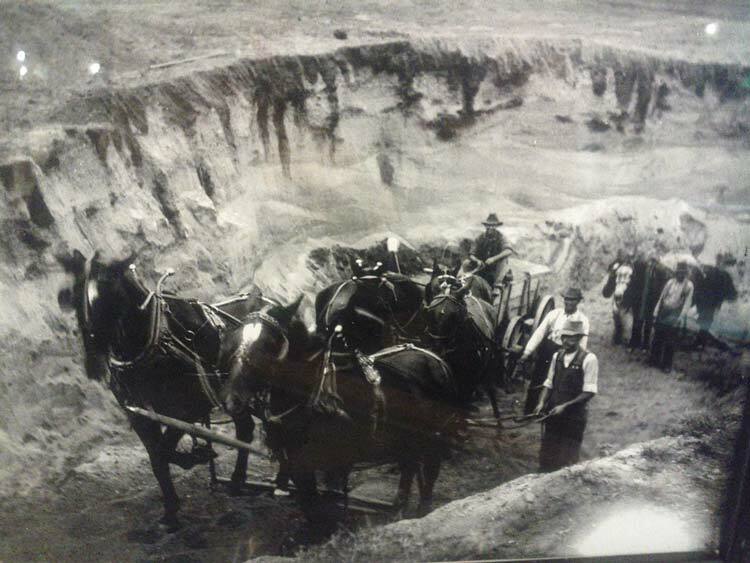 The canal was excavated by around 40 men, using said teams of horses and plows. Work was finished on Oct. 28, 1868, the same year that Goshen elected its first mayor, Henry D. Wilson.